The Not-So-Distant Future will have trucks that drive themselves! Automotive car and truck manufacturers use a variety of marketing tools to keep their company at the forefront of sales. 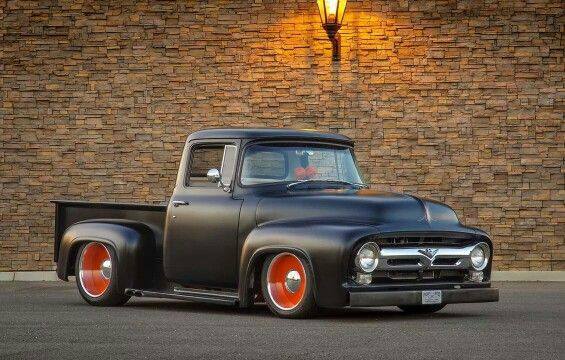 We have seen in recent years that our Detroit car (truck) makers literally fell asleep at the wheel when it came to staying ahead of the competition and new truck technology. Mainly, who was making vehicles with fantastic fuel mileage when gas prices were soaring and the big petroleum companies have no conscience when it comes to gouging us at the pumps. Maybe a few years too late, Ford, GM and Chrysler awoke to the idea that simply having a bigger, more powerful, gas-guzzling pickup was not the most popular type of truck (and car) to deliver to the U.S. market. Before that problem is solved, now it seems that the big focus is on delivering cars and trucks which are loaded with driver assist features that allow us (the driver) to literally go hands-free at freeway speeds. You have all seen it on TV, cars that simply park themselves without any assistance from the driver maneuvering the wheel or operating the gas and brake pedals. Now there is more on the horizon. Here comes the next wallop; driverless cars and trucks. If you thought your current new car has way too many computers and electronic devices to be relatively dependable and affordable to be fixed, the big three are about to introduce vehicles loaded with numerous ultra sonic sensors, radar systems and cameras which scan the road from the rear view mirror, grille and tail lamps. An on-board computer will then collect data and provide you with park assist (already available) as well as assisted steering, warn the driver about impending road hazards and even apply the brakes when an crash is imminent. While it is called “Driver Assist” at this point, many drivers who have test driven pre-production vehicles completely divorced themselves of any form of being in-control when it actually came to driving the vehicle. Maybe this is a test, but how many drivers will soon begin to use these features when they feel the need to apply make-up, text or make a call to a best friend. I read this as Detroit innovation gone bad as these safety nets will all too often become an excuse for not having to stay in full control of a vehicle during driving conditions. Interesting that insurance companies are considering offering discounts to vehicle owners equipped with automatic braking systems. Here’s the kicker. U.S. safety officials may soon rule that ALL new vehicles be factory equipped with “collision mitigating braking.” Car makers say the system will reduce damage by reducing impact, not prevent impact! Wouldn’t it be safer to have the driver stay in control? The future is here for some models as Ford’s 2013 has a driver assist package for the Fusion priced at around $30,000. 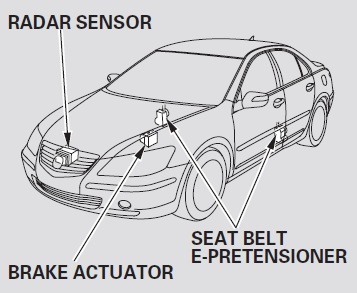 A 2014 Mercedes will be factory equipped with 3-D road imaging if you are ready to delve out $90,000+ and Cadillac will be offering their buyers Super Cruise a hands-free system. I just hope GM adds a buzzer to wake up those Cadillac drivers when the light goes green! After gathering data for this column, I really know that I am driving an antique Ford truck. I have to turn a key to start it, pull a knob to turn on the lights, step on a switch to dim the headlamps, twist a knob to increase radio volume, steer the wheel to stay in my lane, turn the wheel when I need to park, and yes, step on the gas to go, and brake pedal to stop. I’m comfortable with this old system.